Would you bank somewhere that didn’t have a mobile banking app? I’m not sure that I would, and according to Marianne Lake of JP Morgan Chase, 57% of millennials will even switch banks to get a better mobile experience. Mobile banking apps (part of fintech, or financial tech) are no longer just a convenient way to check your balances, they are an integral part of the banking experience and something that consumers evaluate when choosing a bank. Because of the competitiveness of the banking industry, this consumer focus on the mobile experience is creating new and unique features as banks seek to gain an edge in the mobile banking space. What is the Future of Mobile Banking Apps? We can expect mobile banking apps to offer more robust features that allow you to do more of your banking on your own terms, from your phone. Look for innovations in banking services, mobile banking security features, and customer service. 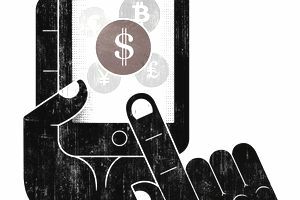 In addition, there is a trend for banks to offer “stand-alone” apps that have unique features that often serve a subset of their customer base and allow banks to test new ideas quickly. A feature that we are beginning to see roll out across different banking apps is the cardless ATM feature. This feature enhances the security of ATM transactions because phones usually have security features like biometrics and passwords built in. You can leave your card at home, and if someone steals your phone they will have to go through multiple security features to get to your ATM, instead of just knowing a pin. There are several different ways that banks are implementing this feature. Some banks generate an instant code via your app to enter along with your pin, while other banks use the phone’s camera and beacons. This has been a feature that’s been rolling out over the last few years and is starting to gain momentum among the large banking institutions. You can also set up several mobile banking alerts on your mobile devices to flag any unusual or suspicious activity. Dialing a phone number for help is very 2007. Now many people prefer to get help through a messenger or on-screen chat. That’s where virtual banking assistants come in. Think of it as Siri, but for your personal bank account. These digital assistants – Ally Assist from Ally, Eno from Capital One, and Erica from Bank of America – all currently can answer questions from consumers about their bank accounts. As machine learning becomes stronger, the apps are expected to make the leap to advising customers as well. They will probably be able to tell you when you’re likely to spend more than you have and make suggestions on how to cover the spending. Another BIG trend in the future of mobile banking is spin-off apps. These are stand-alone apps that banks use to test new app offerings and to offer innovative services to subsets of their customer base. One of the more interesting apps in this space is Fifth Third Bank's Momentum. This app isn’t bundled into their main banking app but stands alone. It automatically moves the change from your purchases (by rounding to the nearest dollar) to pay down a borrower’s student loans. Fifth Third Bank projects that the app could save students 3 to 5 years of loan repayments. What's Next for Mobile Banking Apps? Technology is constantly evolving, and as smartphones release more features and new apps are developed outside the banking industry, we can expect to see more and faster innovation in the area of online banking apps. Features like card controls – which allow you to turn on or off a debit or credit card, savings apps – which work like Fifth Third’s Momentum but for savings, and the ability to apply for accounts and personal loans over your phone will become more and more common. In addition, we are likely to see new features that are geared toward making banking more secure, more personal, and easier being developed. It’s not certain exactly what those apps are going to look like at this point, but it’s sure to be exciting. Well designed banking apps with new and cutting-edge features have the potential to make our banking seamless with the rest of our lives. And that’s a good thing.